Donald Trump owns a triplex penthouse on the top 3 floors of the Tower. 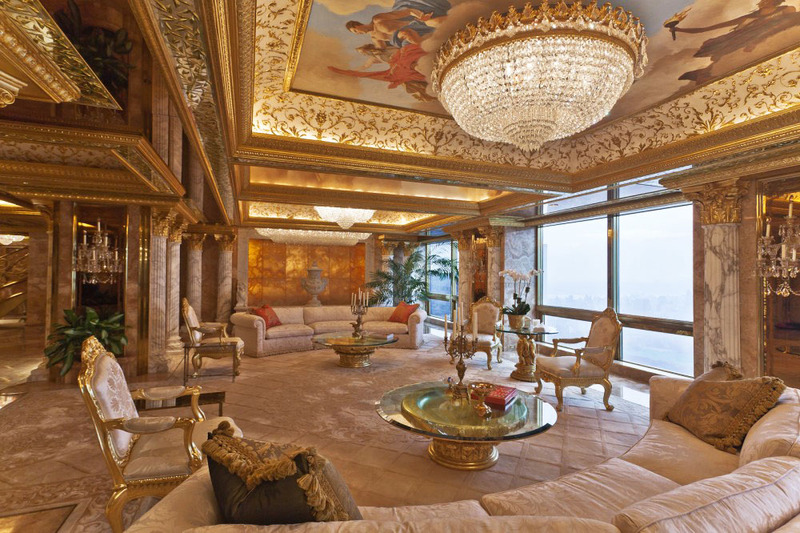 His penthouse is decorated in diamond, 24-carat gold and marble worth approximately $100 million. It is one of the most valuable apartments in NYC.